First of all, I am extremely sorry for not being able to update the blog lately. I been busy moving from state to state. But I got some exciting study tips for the USMLE Step 2 CS. First thing first, do not take Step 2 CS lightly. I have heard many students saying its easy and only one week of study is enough for this exam. And some times you will even see these people passing just by studying for a week. Now do you want to take that risk? I hope not because everybody has different experience from their rotation which prepares them for CS. You might have a crappy experience from the rotation, which means you need more time to prepare for CS. Not only that, recently they made the exam harder since people were taking it lightly. So a good preparation is a must! What is the ideal preparation time for CS? A good month and half preparation is all you need for the USMLE Step 2 CS. The resources that you want to use is the First Aid USMLE Step 2 CS and Kaplan CS Videos. That’s all you need. Do not worry about Kaplan Lecture Notes or USMLE World. Remember the trick for CS is to stick to one source and know it very well!! If you use too many sources you will get confused and lose your flow of asking questions. Here are the steps you should follow when preparing for CS. First Aid For USMLE Step 2 CS – Spend 10 days reading this book thoroughly. Make sure you spend plenty of time going over the mini cases. They are key to ace the CS. So know every single mini cases really well. And then go over all the practice cases in details. Here is a sample of how my practice case page looks like. This is the most effective method and works really well for everyone. Study Partner – Lastly, you want to practice with a study partner till the last day of your exam. Go over every single practice cases with your study partner. Do not get more than one study partner as it is not effective. And make sure you stimulate the exam day experience when practicing. What I mean is, make sure you have the drape, grown, stethoscope and USMLE CS Note Page ready when you practice. Use the USMLE Practice Page to write down the notes once you are done with the patient encounter. Also you can use the smartphone app “USMLE CS Timer” to time the encounter. Do not forget to read First Aid for CS everyday till the last day. You might get bored but stay focused! Many of you might have problem finding study partner due to the location. I have a friend who passed Step 1, Step 2 CK and Step 2 CS. He is amazing and charges only $20 per case to practice. Not only that, his first hour is totally free. He will be the Standard patient and will also go over every single case with you thoroughly. If you are interested then please contact us. Subscribe to our mailing list and get USMLE tips and tricks to your email inbox. 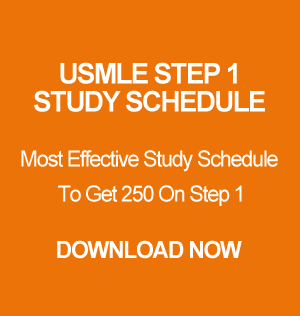 Is First Aid For USMLE Step 1 Enough? Which NBME Forms To Take For Step 1? Kaplan Qbank vs USMLE World, Which One to Stick To? Congratulation Goes Out To 4 of My Medical Students Who Matched This Year!